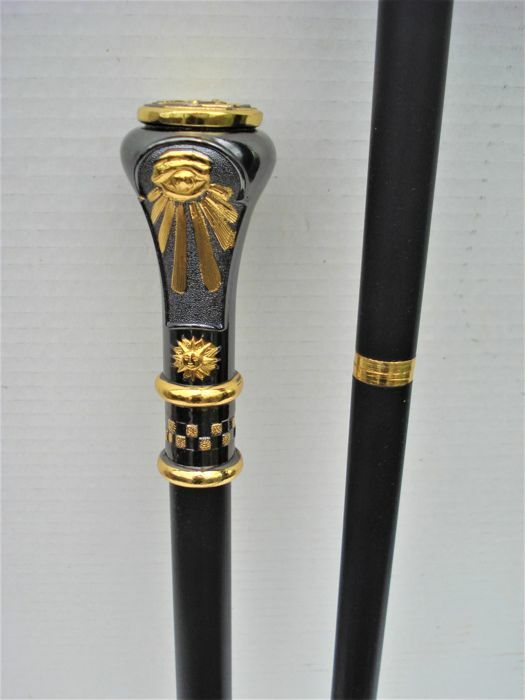 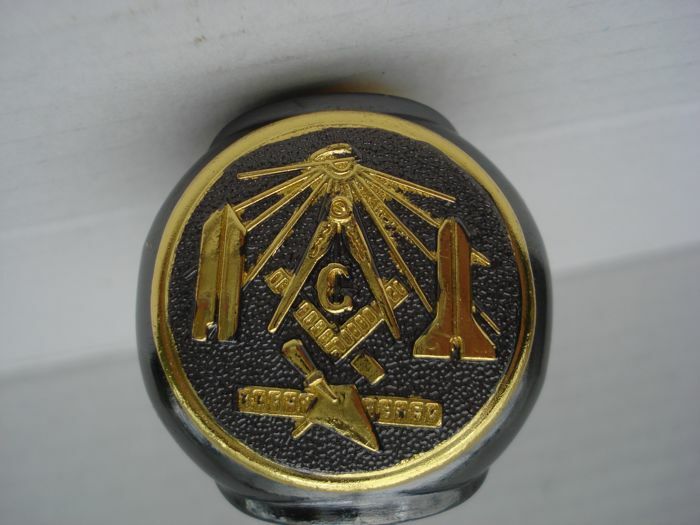 Beautiful walking stick with the logo of the Freemasons on top of the knob. 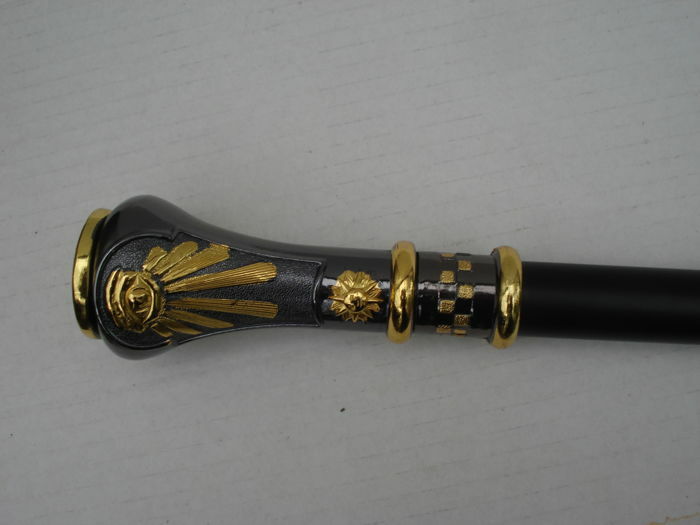 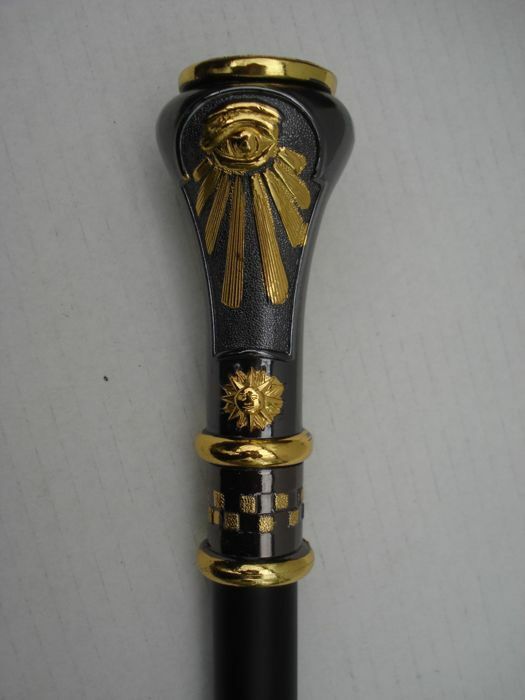 The stick and ball are of metal, and are decorated with beautiful details and gold-plated accents, the lower end of the stick has a rubber cap. 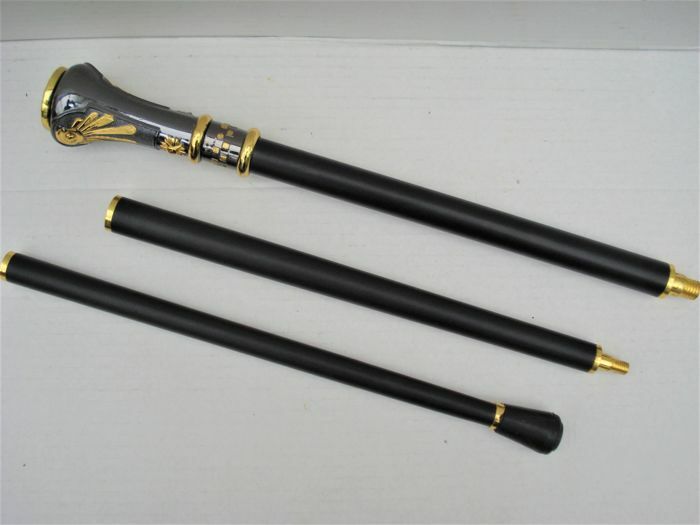 The walking stick consists of 3 parts and is easy to take along (in a suitcase or bag). 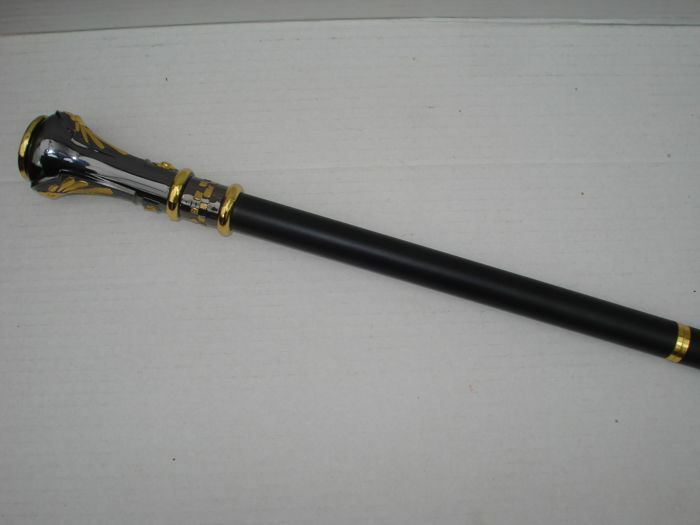 Dimensions - length 94.5 cm. 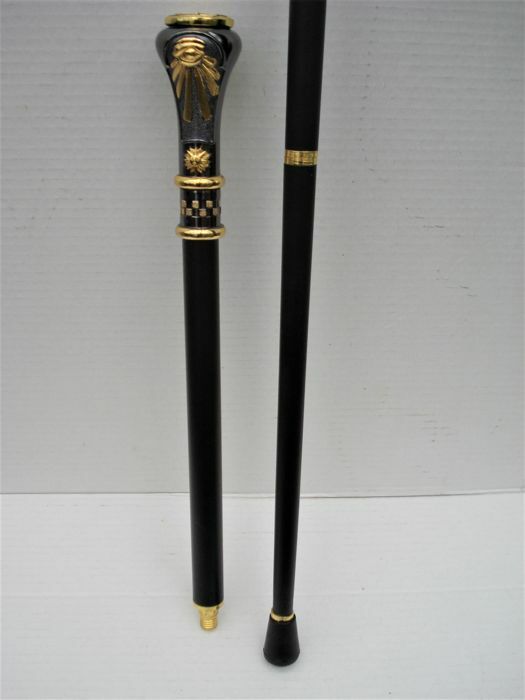 Condition - in very good condition.